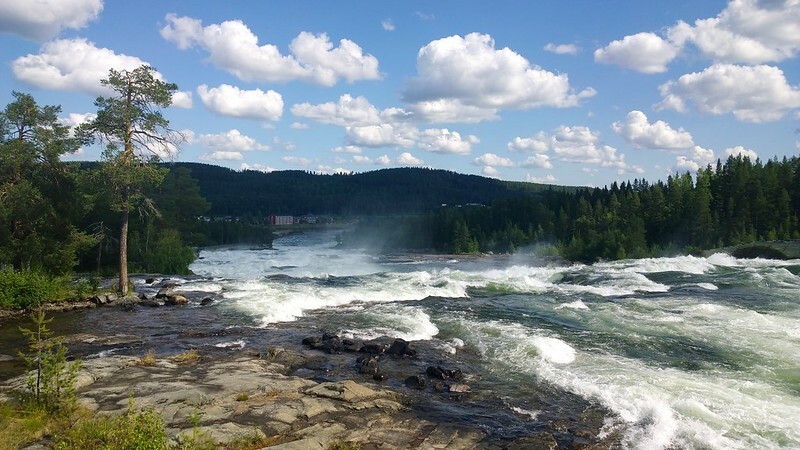 High up in north Sweden, 80 km inland from the coastal town Piteå, lies one of the biggest rapids in Europe. It’s name is Storforsen, and it’s beautiful. 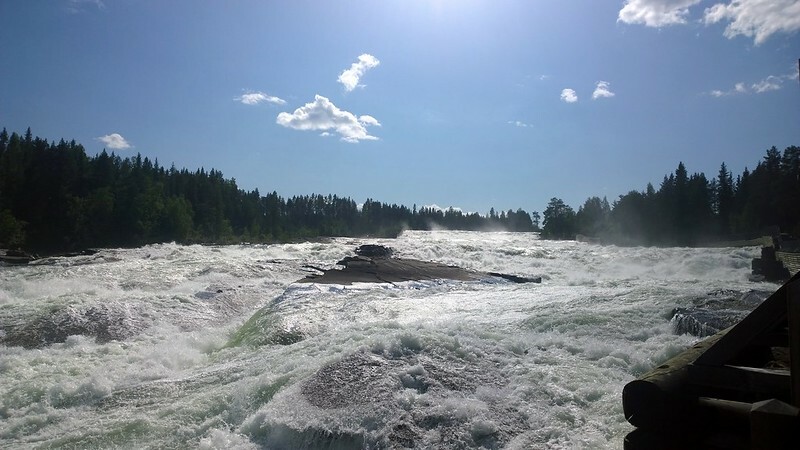 On average it has a flow of 250 cubic meters per second, around Midsummer when the flow is at it’s highest that number changes to 870 cubic metres. The water runs so violent that even during the coldest winter months it never completely freezes over. In other words, it’s an impressive sight, and the sound it makes is deafening. My father’s house is in the neighbouring village, only about 1 km from the rapids, so growing up it was a common destination for family picnics, school trips etc. As a teenager, me and my friends would ride our bikes there to hang with the tourists (lots of Germans there in the summer) and have parties. 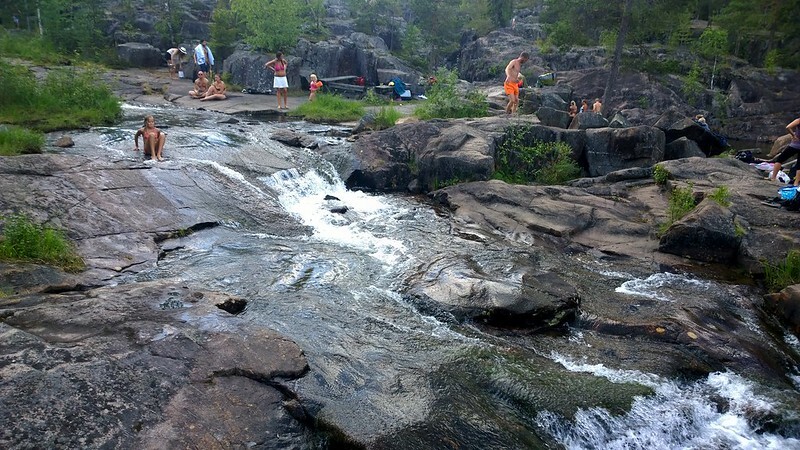 The rapids where a natural part of everyday life. The whole area around the rapids is a nature reserve, and even if the river is the main attraction, the surrounding landscape is equally fascinating. The river used to run slightly west of it’s current flow, and the old riverbed has turned into an area of dramatic cliffs and streams. It’s quite popular to go out on the rocks to sunbathe or play around in the water. 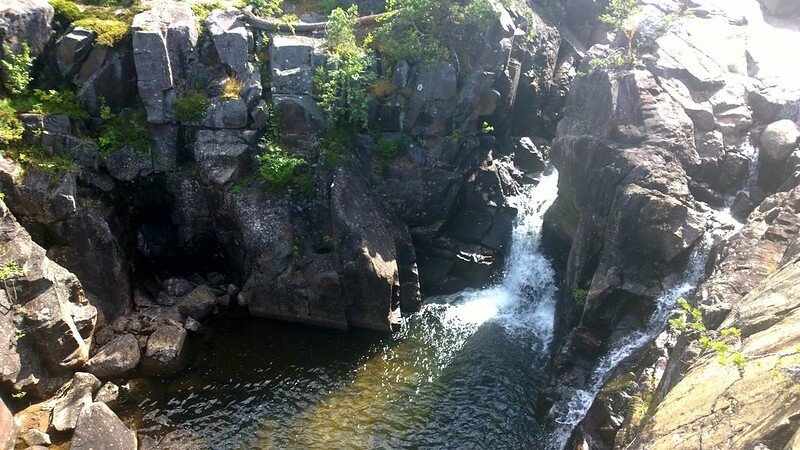 Above is Döda Fallet, “The Dead Fall”, a crevice in the rock with several waterfalls around it. In some places the water has carved deep wells in the stone, and from the surface up to the surrounding cliffs (where I was standing) it’s around 10 metres. 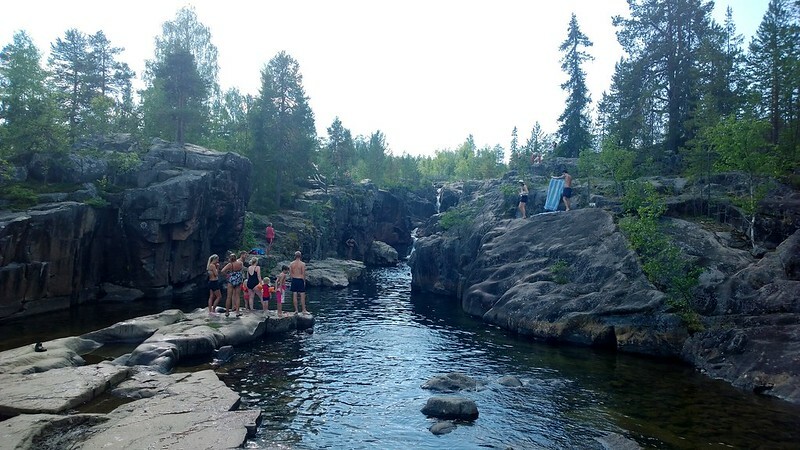 It’s not unusual to see gangs of youngsters playing daredevil by jumping from the cliffs into the hollows. Of course people get injured every now and then, but apparently it’s worth the risk. Proving your courage by jumping in The Dead Fall has been a thing for as long as anyone can remember. And no, I’ve never jumped. I like being alive, thank you very much. At the bottom of the rapids, where the Varjis river joins the Pite river. Storforsen is just outside the photo, to the right. I know I’m biased since it’s my childhood home, but there really is something about Storforsen, something wild and serene at the same time. Standing by the roaring river, looking into the ever whirling waters, watching this unusually powerful force of nature… it always fills me with a sense of humbleness. That is just breath-taking. I can only imagine what it would be like to stand there and see all that, it is so beautiful! I love water and I love waterfalls and rapids so I would be having the time of my life. I really want to visit Sweden one day. Holy wow! 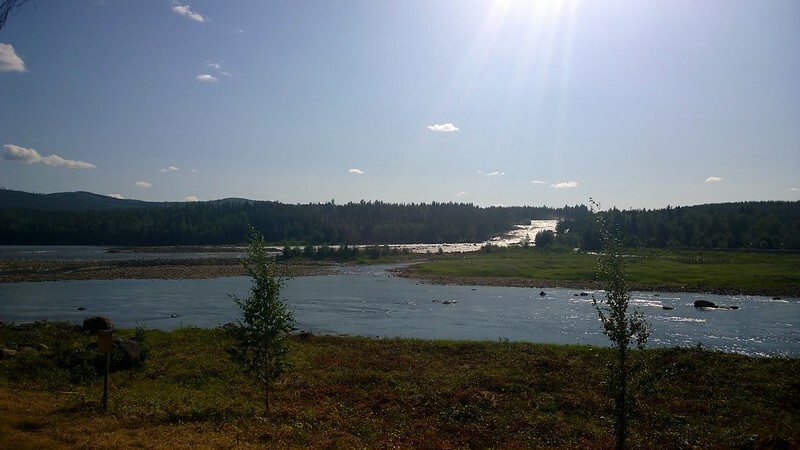 Storforsen is absolutely stunning – your pictures are some serious eye candy for me right now. :yay: I love being near the water myself, it’s just so peaceful and soothing. It really puts one at ease, me thinks. I’m with you on not wanting to jump into the water from great heights, I enjoy being alive and coming back home in one piece. Wow, that area looks gorgeous! The rapids look scary, but the surrounding area looks so peaceful in comparison :) People seem to like cliff jumping, but I’m not sure if I would do it either, haha. That’s awesome that you grew up near Storforsen though. I would love to spend time in a place like that! I don’t think it’s just your bias speaking – Storforsen really does look magical! Judging from your pictures and videos, it’s one of the most gorgeous places I’ve ever seen, no joke. I would love to go there in person. Even though I live in a city, we’re surrounded by nature because we have the Great Smoky Mountains National Park nearby. 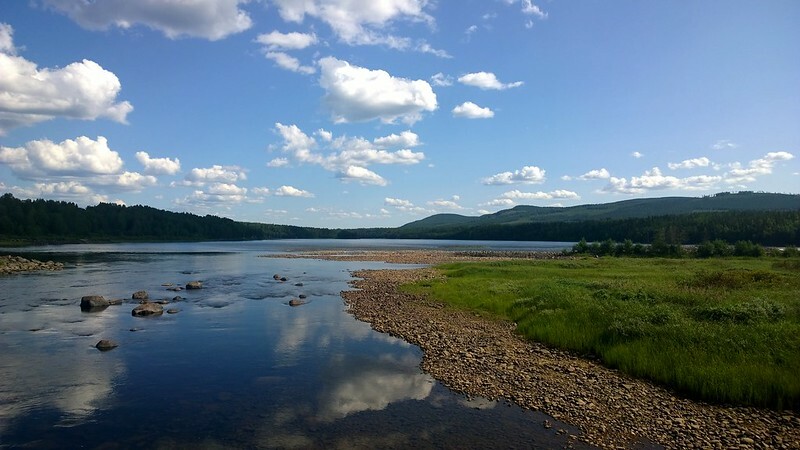 I grew up vacationing there, and it instilled a love of nature in me from a young age. 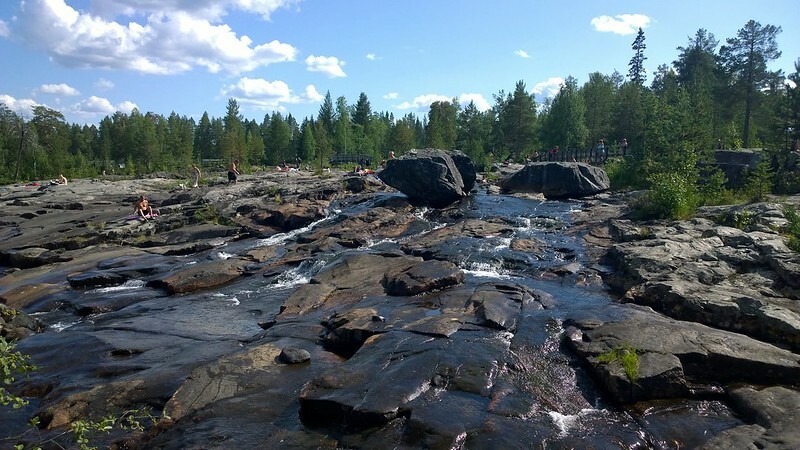 Storforsen reminds me of it a little bit, even though we don’t have rapids like that! Wow. It looks amazing. I’ve learned over the past few months that I do enjoy being around water.